Five months ago, Prime Minister Manmohan Singh went to Myanmar and said India and Myanmar as "natural partners." He suggested tapping the huge un-realised potential of the economic relationship between the two countries for mutual benefit. During that two-day trip, India and Myanmar signed a number of agreements and put in place a road map for the rapid development relations in the years ahead. As diplomatic visits go, it was a great success. But it takes more than usual platitudes to translate a triumphant state visit into a long lasting relationship, coming as this one does after a relatively low profile engagement over the past decade. In fact the Indian Prime Minister's visit to Myanmar came after leaders from Bangladesh, US, South Korea and Britain had already made their forays into Myanmar. New Delhi, ever so cautious -- or laggard, depending on the prism through which one sees its approach -- has only now tentatively taken the first steps to cash in on Myanmar's opening up. As the Prime Minister pointed out: "Myanmar, with its unique" geographic location, can be a bridge linking South and South East Asia to East Asia and there is much untapped potential in our economic relationship." 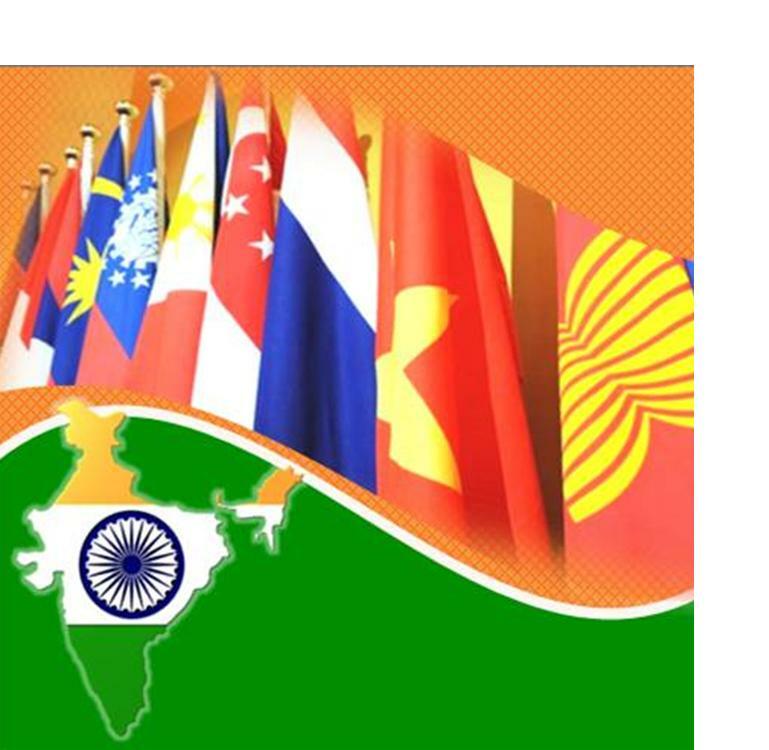 After all, India has a major partnership with her neighbouring ASEAN countries in trade and investment. Myanmar, now a member of ASEAN, has become a major link between India and ASEAN countries. And North East, particularly Manipur ought to become the center of thriving and integrated economic space linking two dynamic regions with a network of highways, railways, pipeline, and transmission lines crisscrossing the region. Development of the North East is thus integral to India's policy on Myanmar. North East is a corridor and a transit route to South East Asia. Infrastructure building tops the priority. A big project already under way is designed to turn the Kaladan River into a shipping route, linking Mizoram to Myanmar's port of Sittwe, which India is helping develop. India has also agreed to upgrade an extensive network of roads and bridges in Myanmar that would effectively connect the North East (and the rest of India) to Thailand as soon as 2016. Both sides are also exploring the possibility of setting up train routes through the country. Facilitating border transit would make the Northeast a gateway to Myanmar -- a potential boon for trade as well as tourism. A think-tank, Aspen Institute India has in fact said in its report on Myanmar recently: "With the Myanmar economy opening up and the world showing greater interest, India has to think big and look consciously for a high profile entry. One of the important new initiatives that India could take up is the setting up of a large, multi-purpose Special Economic Zone around Sittwe. Setting up of another SME-oriented SEZ should also be considered in or near Setpyitpyin (Kaletwa), to which point the Kaladan river is being made navigable, in the region adjoining the Indian border which happens to be amongst the most backward areas in Myanmar." India is currently upgrading the Sittwe port and making 225 km of the Kaladan river from Sittwe to Setpyitpyin (Kaletwa) navigable. This point would be connected to Mizoram by a 62 km road which India is committed to construct. The Kolkata-Sittwe sea route is only 539 km. These projects are designed to provide connectivity between mainland India and its northeastern states through the Indian Ocean and Myanmar territory. "Sittwe is the hub of these transport connectivity arrangements. The SEZ could have power plants, fertilizers, plastics, chemicals and other downstream industries, export-oriented greenfield projects, tourism complexes, a super-specialty hospital, housing complexes and educational institutions as an integral part of the master plan. Select Indian companies can be encouraged to invest and participate. Such a project would create a high impact economic region for planned and sustainable long term socio-economic development in the country. The need of the hour is to systematically create economic opportunities by bringing together industry and people in well planned localised areas, with adequate enabling infrastructure and public services. Availability of world-class infrastructure can be a differentiator for Myanmar and improve its competitiveness as a destination for industry and business investment." India's north eastern states and Myanmar should be the main target markets of many products manufactured in the SEZs to once again make India's north eastern states and northern Myanmar a natural economic zone, which they historically were, providing a sustainable economic life line to the north eastern states. But this would require enormous fast-paced infrastructure development on the Indian side of the border with Myanmar which is primitive and is hardly geared to handle the traffic that would be generated due to the Kaladan project. Indian private sector companies have a good track record of setting up greenfield airports and ports. These could be additional areas of our collaboration. In terms of land connectivity, India's National Thermal Power [ Get Quote ] Corporation has envisioned a vision plan for the next 20 years. Additional rail link and the Sittwe-Aizwal-North Assam road link are also new plans. These should be viewed as long term strategic investments from India and be expedited. Manipur, shares a 398-km border with Myanmar. But more importantly the border town of Moreh has been a traditional trading hub with Myanmar and therefore has vast potential to become a major export centre from India for the South-East Asian region. Here's why: According to available statistics, bilateral trade between India and Myanmar more than doubled between 2005 and 2010, expanding from $557 million to $1.2 billion, most of it through Moreh. Disappointingly though, it pales in comparison to the bilateral trade between China and Myanmar which in 2010 amounted to an estimated $3 billion. Another prominent think-tank, the Institute of Defence Studies and Analyses says: "In this context, the efficacy of various projects related to the Trilateral Highway as a component of the Asian Highway cannot be overlooked. The Trilateral Highway aims at connecting India's North-East with Thailand via Myanmar. It could mitigate the disadvantages of landlocked North-East India. There has been an agreement between India and Myanmar on the construction and upgradation of the Kalewa-Yargyi stretch of the Trilateral Highway during recent meetings. In its larger and more ambitious frame, the Trilateral Highway project is an example of triangular road diplomacy between India, Myanmar and Thailand, with a vision of inter-linking the Indian Ocean with the South China Sea. It is a component of the Asian Highway, which is scheduled for completion by 2016. Proposed and implemented by the United Nations Economic and Social Commission for Asia and Pacific (UNESCAP), the Asian Highway Project includes the Asian Highway 1 and 2 that would pass through the North-East, connecting India with its eastern neighbours. While the Asian Highway is being built along planned routes to cover a wide spectrum of road network in the North-East region of India, much more needs to be done by the Indian government to make the road functional. The Asian Highway needs to be interlinked with other critical projects that are envisaged to be completed as part of the Look-East Policy such as the Kaladan Multimodal Transit Project and Trans-Asian Railways." Nevertheless, with better connectivity and implementation of various development projects, the Asian Highway would enable the North-East region to become a business hub of South Asia. Economic linkages already exist by virtue of the prevailing legal and illegal trade between India and Myanmar through Moreh, a business border town in Manipur, and Tamu in Myanmar. Concrete economic benefits are expected to come up in the region with establishment of border haats. In addition, internal trade routes have the potential to enhance accessibility to sub-regional markets that connect Bangladesh, Myanmar and Bhutan. Thus, with the coming of the Asian Highway, Myanmar will become the point of convergence as well as the linking route between India and the other South-East Asian countries. That, in turn, will lead to the creation of more secure and safe living spaces for the populace residing on either side of the border. But there are apprehensions too. Local people in the North East fear that the opening of the Asian Highway and absence of inadequate enforceable regulation on immigration, illegal migration into the region may increase manifold. Also past promises have not been translated into real progress. In July 2011, when India's External Affairs Minister S.M. Krishna, speaking at the Indonesian resort town of Bali, announcing a car rally from Singapore to Kolkata said of India and South East Asia, "We need connectivity more than ever before between our younger generations, entrepreneurs, IT experts, scientists, diplomats, media and students," he was only highlighting a long-desired need. "I propose that, unlike the car rally in 2004, this time the car rally begin from ASEAN countries into India and culminate at Kolkata," Krishna said, underlining the need for deepening geographical connectivity among countries of the region. But in India's North East, Krishna's announcement was met with stony silence. Many remembered November 2004, when a similar car rally was organised between Guwahati and Singapore, passing through the Indian states of Assam, Nagaland and Manipur. Then too, the rally was seen as the beginning of a new era in connecting India's isolated North Eastern region to East and South East Asia. Manipur, in particular hoped the new initiative would help it overcome its inherent handicap of being a remote and landlocked state, as it would have brought huge improvement in infrastructure, particularly the roads leading in and out of the state. It is the failure of actualising intent that rankles in Manipur. That, combined with multiple frustrations emanating from prolonged bouts of economic blockades, a state administration in terminal atrophy and the continued and unchallenged writ of underground armed groups, has left the people despondent. It is this hopelessness that the Centre and state government must work hard to overcome. For that, a solution to long-standing ethnic insurgencies has to be found in double-quick time. Now is the time to press for peace and security in Manipur since politics in Myanmar are undergoing a dramatic change. With the junta taking tentative steps towards genuine democracy and showing signs of warming towards India, New Delhi must seize this moment to establish lasting trade and cultural ties with its eastern neighbour. But before India can play a larger role in Maynmar, it needs to fix Manipur's broken socio-political landscape. As Arvind Gupta, director general of IDSA said in an article; "This will require, first and foremost, the settlement of the continuing insurgencies in the region as it would take care of many of India's security concerns. It must be noted that considerable progress has been made in this regard in recent years. The recent improvement in IndiaBangladesh relations has had a major security benefit for India in terms of winding down of the ULFA insurgency. Similarly, improving ties with Myanmar will help India in dealing with the Naga and Manipur insurgencies. Economic and social development in the region will also pay security dividends for India. "The North East region has the potential to become a manufacturing hub for engaging with neighbouring Bangladesh, Myanmar, and ASEAN in general. For this, the North East needs to be connected more densely with Bangladesh, Myanmar, and the ASEAN region beyond. This will require building infrastructure -- roads, railway lines, river transport, airports, tourism infrastructure, border check-posts, educational, and health infrastructure, etc. -- in the North East on an urgent basis. The GoI needs to invest big sums in the region in order to make LEP a success. Moreover, linking the North-East to Myanmar and Bangladesh will help in the development of the region and address the issue of poverty." Manipur and to a lesser extent Nagaland must take advantage of the liberalisation that is taking place in Myanmar. But that potential can be fully realised only if New Delhi starts looking at Manipur as an important starting point in India's 'Look East' policy instead as a dead end of the country's road network. Nitin Gokhale is the Security & Strategic Affairs Editor with NDTV. He has lived in and reported from India's North East between 1983 and 2006.